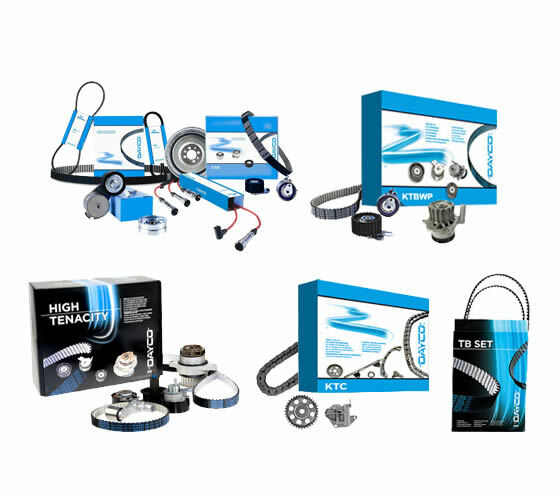 We have a wide range of Timing belts & Timing Chain Kits. 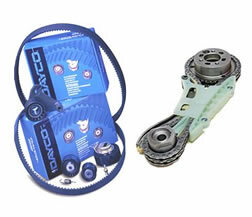 We stock Dayco belts & Ultra OEM chain kits. Please call 01455 250222 for more details. 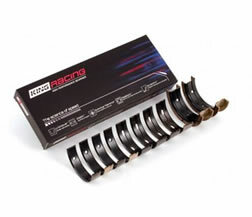 The timing belts keep the engine in sync. 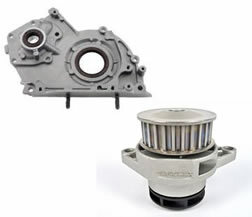 After time, the belt and its components need to be replaced. Please check your service schedule to see when your replacement is due. 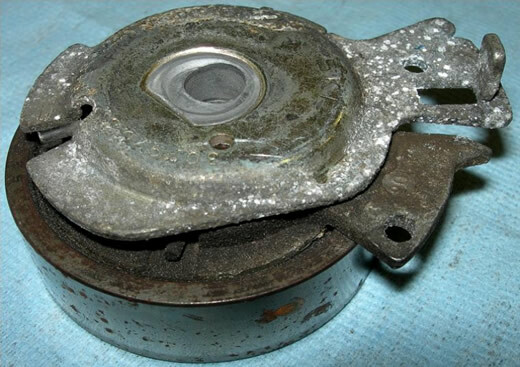 The belt, rollers & tensioners should be checked periodically to ensure there is no damage or wear to the belt and that the rollers spin freely. 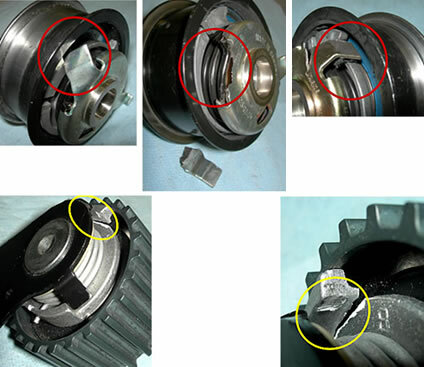 If the cam belt fails the engine will have a catastrophic failure often resulting in bent or broken valves, snapped camshafts and damaged piston crowns. 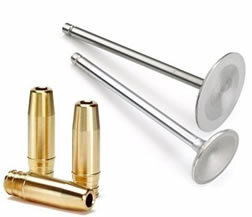 This is typical in an interference engine, which means the valve protrudes into the space where the piston reaches. 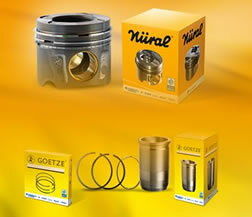 Incorrect setting of the bolt: the torque applied is higher than the value specified on the maintenance sheet. 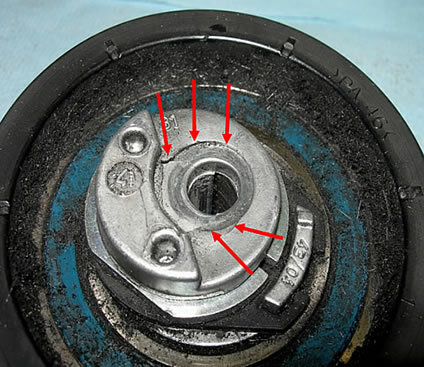 Incorrect setting of the tensioner: "excessive load" condition with the belt tensioned in the transmission. Chains generally have a longer service life than belts, but chains and their components need to be checked regularly. 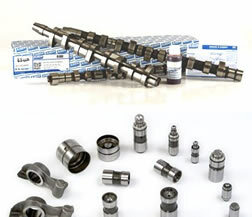 Servicing is critical to the operation of the chain. 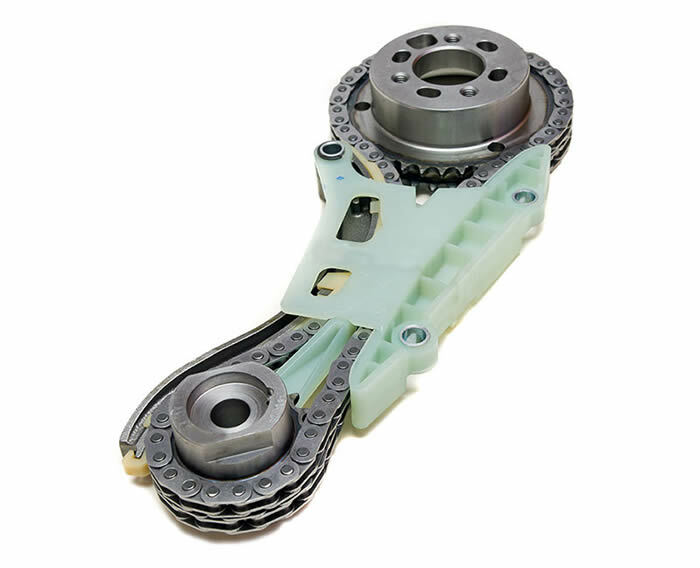 Often, the chain tensioner works under oil pressure. 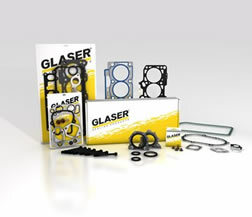 If the oil is low or insufficient oil reaches the tensioner, the chain will run without enough tension which can damage guide rails and sprockets.